My first games, I developed when I was young. I took an existing game and made it into a new one. At some point, I came up with a concept for a small board game. I found this concept again after 10 years, and I finished it this time. In the start of 2018, the card game Geloofshelden came out. Since then, many have enjoyed this wonderful game, that has been developed with a lot of enthusiasm. 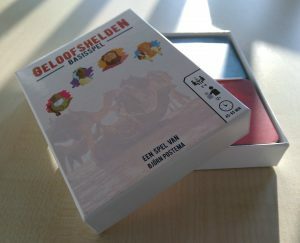 The card game Geloofshelden is a nice family game for 2 to 4 players, 12+ years and takes about 45 to 60 minutes. The card game takes you in the footsteps of your favourite Biblical heroes of the faith. Board game development involves a lot of precision and patience to develop. It requires to write concepts, prototyping, card design and player testing. I used various tools to create/program prototypes in Nandeck, to create special designs in Adobe Photoshop/Gimp and finalising before printing in Adobe InDesign. My first prototypes are then shipped from abroad into the Netherlands. Later on, a printing company delivered the final version of the game even with a nice box around it. In the end, it is such a joy to see all the photos of people who tell me they enjoyed the game so much with their families and friends. 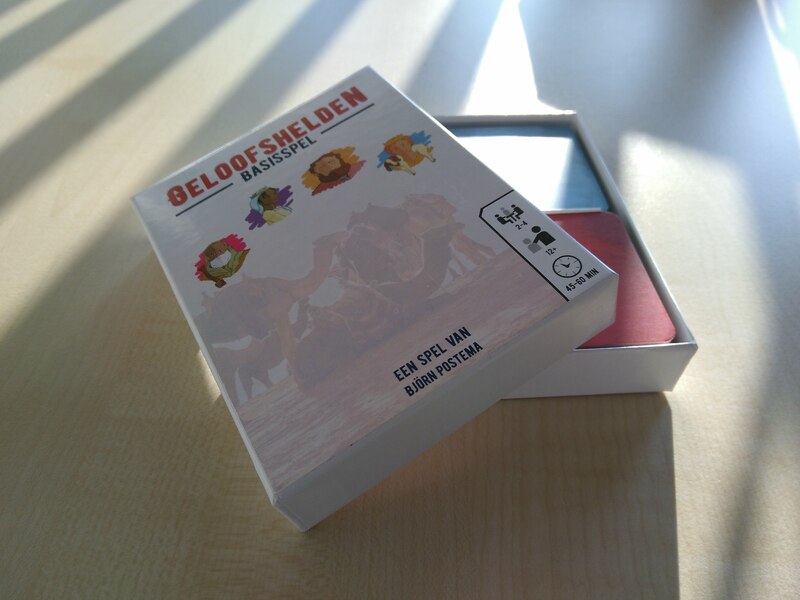 If you are interested in buying Geloofshelden, you still can get your copy from http://www.bjorn2jordan.nl/ik-wil-het-spel/ (Dutch website).